The International Cricket Council has congratulated Pakistan for the successful staging of the Pakistan versus the World XI series for the Independence Cup at the Gaddafi Stadium in Lahore. In their video messages, which are available here for free download and editorial use, ICC Director, Mr Giles Clarke, and ICC Chief Executive, Mr David Richardson, have thanked the people of Pakistan for embracing the World XI players, and said the series has demonstrated Pakistan’s passion and love for cricket, as well as its ability to provide an environment in which international cricket stars can show their talent. Mr Clarke and Mr Richardson, however, added that these are small steps for Pakistan towards the safe and steady revival of bilateral international cricket, and indicated that the next step would be a tour by a Full Member country as opposed to a composite side. Mr Clarke, who attended the first two matches, said: “The reception the team received was quite extraordinary, and for all of us, we did our best to interact with the crowd. The reaction of the Pakistanis who were at the ground is something I have never seen in my life. They were so pleased, saying thank you, and they were so excited by the players being there. “I felt the tour unleashed the deep and powerful emotions that exist around cricket in this country’s makeup and its society. “It has been an enormous challenge to ask the authorities in a town as large as Lahore, as commercially important as Lahore, with such a wide variety of other activities, to allow cricket activity to take over key communication channels and travel arteries for the period we have. It is clearly a tremendous economic gesture by the Punjab government but an equally extraordinarily competent detailed planning by all the government agencies involved and the security advisors to the tour. “I think this courageous team, its management and all the people in Pakistan who have been involved, have demonstrated that it is possible for overseas players to come to Pakistan and show their skills in Pakistan and be able to give the people of Pakistan the chance to watch their own heroes in action against the best international players. “It has been a fantastic tournament and I am very grateful to everybody for all the hard work - by the PCB and everybody else. 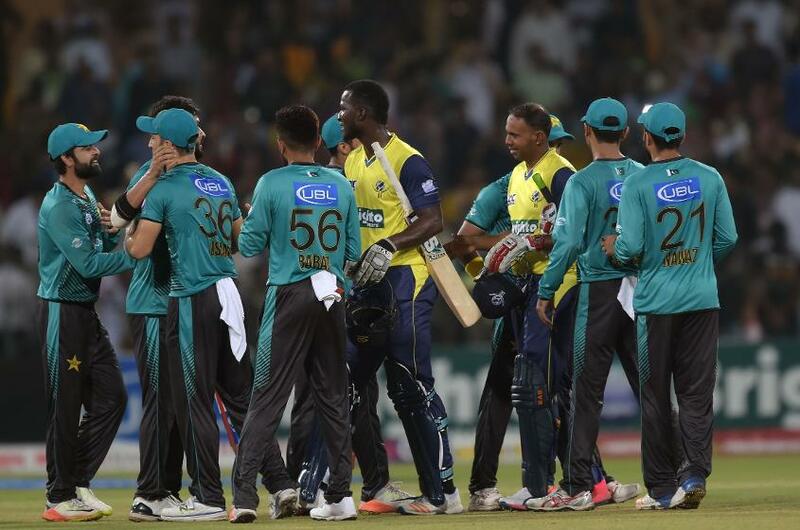 Mr Richardson, who attended the second T20I, said: “One of the main reasons for staging the tour was as a stepping stone to building the confidence that even though there may be some danger to staging sports events or visiting Pakistan, the Pakistan security agencies are more than capable of mitigating that threat. “The tour having gone off so successfully, the security arrangements having being implemented so well, we can call it a success. The players that came on the tour witnessed the security arrangements firsthand and can go back and report back that although there may be some level of risk, it can be managed successfully. “I am very satisfied. Back in 2009, the confidence in the security situation in Pakistan was obviously at an all-time low. And following on, very recently over the past 12 to 24 months, the improvements that have been made by the Pakistan security forces in, first of all, bringing the threat down and secondly, improvements made in security arrangements, that was a catalyst for now moving from that phase of playing international cricket in neutral territories to try to make an effort to bring international cricket back to Pakistan. “The main objective of that is to try to build confidence in the likes of the Australians, South Africans and other countries that the threat can be managed and this tour has shown - that is the case. The security arrangements were unprecedented, yes, they were severe, but above all, everybody realised that it is all very well to have a security plan on paper but can it be implemented? And that’s a question they answered in the affirmative. “Returning full-time international cricket back to Pakistan is not going to be an overnight miracle. It has to take time. The PSL final was the first step, this is the second. We have now shown that events can be staged in one city over a short period of time in a Twenty20 format. Now, the next steps have to be taken, meaning can they be rolled out in more than one city over a longer period of time. Probably the next steps would be a tour by a Full Member country as opposed to a composite team. 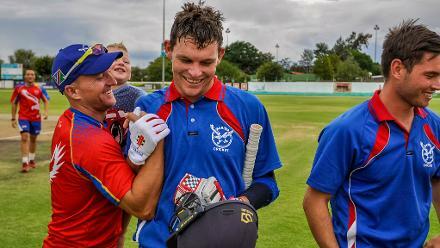 “The warmth, that welcomed the players and teams back, was really heartening to see. Probably the fact that there is still such warmth and support for cricket has really been the reason why Pakistan has been able to be competitive even though it is not playing matches at home.